In the morning on June 21st Mr. Phạm Văn Hiểu – Standing vice secretary of Cần Thơ city Party Committee, chairman of Cần Thơ city People’s Council works with party Committee of party and government office bloc on implementing missions in first 6 months and orientations in 6 remaining months of the year. First 6 months of this year, party committee of the bloc pay attention to renew, improve thought, politic education in officials, party members and grasp resolution. All committee levels in the bloc well carried out democratic regulations, administrative reform, anti-corruption and strongly government, union building. 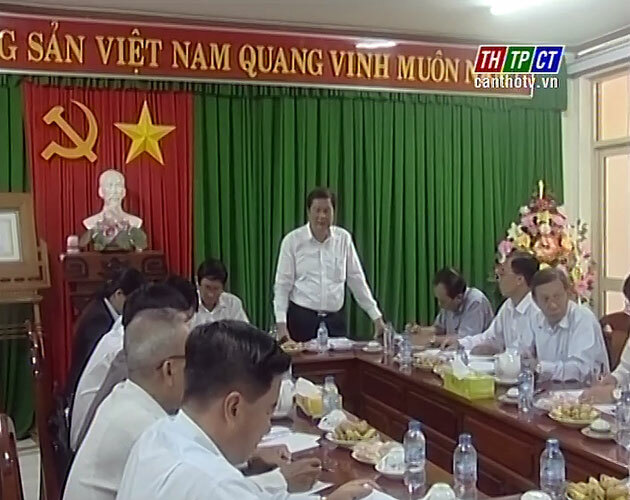 Base on exchange opinions, Mr. Phạm Văn Hiểu asks the permanent committee need to concern, adjust, overcome shortcomings. Soon issue resolution of the bloc about improving quality of party member admittance and meetings of party cells…in order to bring into the role, strength of every collective, individual to contribute in completing targets, missions of the city party committee.